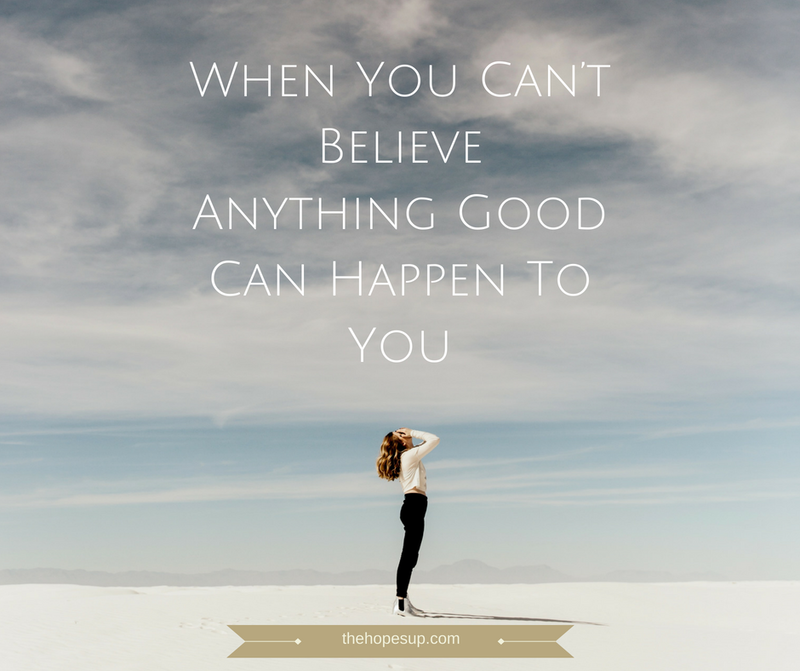 Sometimes we get so overwhelmed with the negative experiences in our life, that it becomes difficult for us to believe that there is more to life than these unpleasant moments. Continuously thinking about such moments takes away the sparkle from your life and all you are left with is hopelessness. You somehow end up being convinced that you will probably never experience anything good in your life and your life will always be dull. 1. You get deeply affected by negative experiences. You become so focused on hating your life and dwelling on the negative experiences that you can’t seem to embrace happiness in your life. 2. You doubt yourself so much that you end up believing that you don’t deserve happiness. You think nothing you do is ever worthy so you don't even try. You let yourself believe that you deserve the suffering and it is pointless to try and change that. 3. You fear that after every good or happy experience, something terrible will happen. So instead of enjoying the pleasant moments, you put more focus on supposedly 'preparing yourself' for the upcoming unpleasant experiences. This fear of unpleasant situations clouds your mind and affects your ability to embrace any happiness that life offers. Your life goals will suffer if you keep this mindset. When you think anything good can never happen to you, you’ll just accept the negativity as it is. You won't even try to make any positive changes in your life. It is important that you completely free yourself from this mindset. Keep a clear vision of what you want for yourself and live life as it comes to you. Realize that you will inevitably face both negative and positive experiences. They are a part of life and you have to deal with them in the right way. Don’t let negative emotions to preoccupy your mind. Shifting your focus from negative experiences to the positive ones makes you happier and keeps you motivated. Always remember that you are not here to only suffer and deal with negative people and experiences. Believe in goodness and believe that you are deserving of it. Good things will happen to you when you actively look for them and work towards them. Strive to make each day as fulfilling and productive as possible. Don't worry too much about what has happened in the past or what will happen in the future, just embrace all the goodness you can find in the present moment. Work on bettering yourself and the situations around you. Don't just be a passive observer of your life. If you keep dwelling on the negative experiences and whining about how things aren't working for you, you create a negative mindset. This negative mindset is detrimental to your well-being. It hinders you from reaching your full potential and prohibits you from seeing anything in a positive light. As a result, you only focus on the problems in your life instead of actually making the effort to find solutions to those problems. Only complaining about the negativity in your life will not make your situation any better. When you get so busy in dwelling on negativity, you won’t be able to experience the happy moments fully even if it’s in front of you. You will tend to ignore them because you have just made up your mind that you will never experience happiness and anything good can never happen to you. Whereas believing in the goodness of life will allow you to gravitate towards the opportunities that would fulfill your end goals leading to satisfaction and happiness. And you will become ready to embrace it. What do you think? What can a person do a develop a positive attitude towards life? Thank you so much Rebecca! Comments like these keep me motivated. I'm so glad you are able to share your thoughts so freely on this blog. It becomes so much easier to move on from the negative experiences when you have a support network. Stay happy and enjoy the goodness in the present moment!